Two separate fun and educational sessions: "All About Apples" and "Bees...The Beneficial Insect"
A trip into the orchard . Each child gets to pick three apples to take home. This year each bag will include a 10% off coupon for our pick your own bag, bring the family back and have your student show you around our orchard. Each child will get to enjoy some refreshing apple cider to try. We will send home with each child a reusable, spill-proof apple sipper. 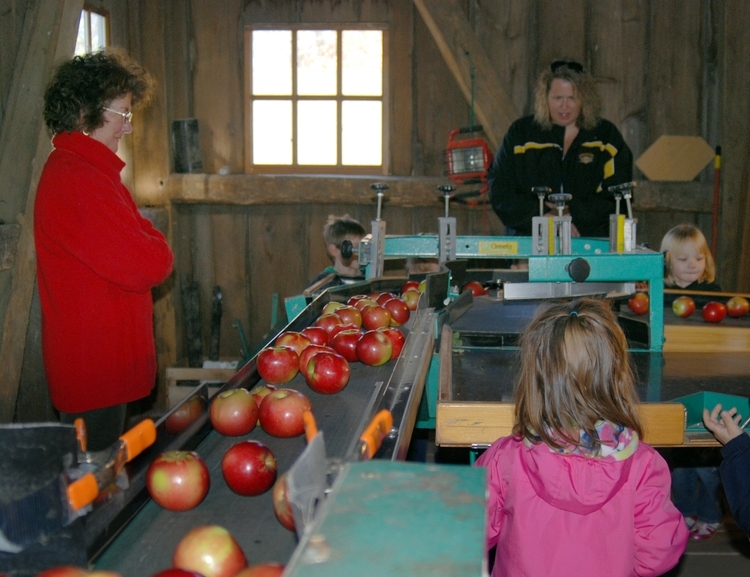 We require one adult to every five children, and they will be asked to assist the tour guide with the activities. Bee stings rarely happen, but please come prepared with medication if anyone in your group is allergic. Interested in a School Tour? Please fill out the request form below and we will get back to you as soon as possible.